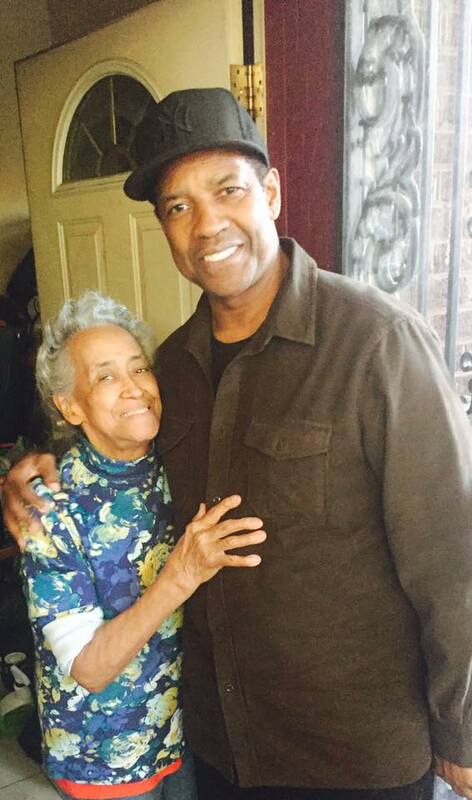 WATCH: Denzel Washington surprises his biggest fan, a grandmother from Chicago - Ooooooo La La! This is super sweet! Denzel Washington surprised one of his biggest fans this past weekend, a grandmother from Chicago's South Side. The actor, who is currently filming The Equalizer 2, was supposedly looking for directions to a nearby restaurant when he ran into a group of people who told him his biggest fan, 86-year-old Juanita Hubbard, lived just across the street, and he just had to meet her!